People have been brushing their teeth the “old-fashioned” way forever, but in recent times, electric toothbrushes have become a trendy alternative. Although electric toothbrushes seem to be all the rage, does it actually do a better job of cleaning your teeth than the old-fashioned manual toothbrush? There are two goals of brushing your teeth, whether you use a manual toothbrush or an electric one: removing plaque from your teeth and stimulating the gums. Assuming you know how to use either kind of toothbrush, you are most likely going to be able to keep your teeth clean. However, there are advantages to both types of toothbrushes. First, manual toothbrushes are cheap and easy to find. After all, they are so accessible, dentists give them away to each person who sits in their chair! Electric toothbrushes can be pretty pricey, so for many people, cost is definitely the primary advantage of manual toothbrushes. Second, manual toothbrushes are portable. If you are going away for the weekend, you can just drop your manual toothbrush in your overnight bag, and away you go! Electric toothbrushes are bulky and require more attention in packing; you don’t have to charge them or worry about batteries. Third, you have many styles to choose from, and you can choose a toothbrush that has features that meets your individual needs. For example, if you have sensitive gums, you can get a toothbrush with soft bristles if your gums are sensitive. Finally, a manual toothbrush gives you lots of control. Sometimes, particularly when your teeth or gums are sensitive, you have to be careful about how much pressure you are putting on them. With a manual toothbrush, you can feel that pressure easier than with the power of an electric toothbrush. Too much pressure can cause many problems, including wearing away enamel or causing pain or bleeding. Although there are many advantages to manual toothbrushes, electric toothbrushes are also popular for a variety of reasons. Sometimes, for example, people just cannot get their teeth clean adequately with a manual toothbrush. In the case of someone who is elderly or someone who does not have good control of his or her hands, an electric toothbrush may be just what the dentist ordered! The larger handle featured in electric toothbrushes provide stability in situations like these. Second, for everyone, electric toothbrushes are easy to use. 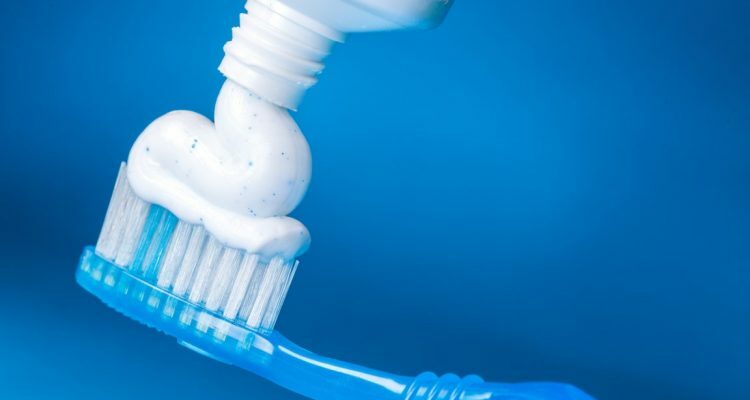 All anyone has to do is lather it up with toothpaste, place it at a 45-degree angle, and let it begin to brush away the plaque. Third, it is more fun for kids than manual toothbrushes. Children often do not enjoy brushing their teeth. Electric toothbrushes make it more fun; you can even get one with a timer that tells them when they are finished! Finally, people often do a better job of removing plaque with an electric toothbrush than with a manual one. This goes for adults and children alike! There are as many kinds of electric toothbrush as there are brands of toothpaste, or anything else, so you have many from which to choose. And electric toothbrushes have a variety of features, including different speeds, timers, and pressure sensors and additional accessories like charging stations and travel cases. Just about any electric toothbrush will be an effective addition to your oral care routine. However, some research shows that there is one type that appears to be better at fighting plaque and gum disease. Find an electric toothbrush that is “rotating-oscillating”; that means that the bristles all circle around in one direction, then they stop and circle around in the other direction. This seems to be more effective at cleaning than manual brushes or electric brushes that only circle in a single direction. Regardless of whether you choose a manual or an electric toothbrush, you should replace your toothbrush frequently – at least every 3 months. You should replace it earlier if the soft bristles stop standing up straight, as they are not able to clean effectively when they aren’t in that position.